Put this food on the food list to solve sleep problems! A food fish rich in nutrients. There are 22 grams of protein per 100 grams of fish. And there is no pair of fish with flavor. There are very few people who dislike fish. There is a proverb in our country. 'Whatever fish you play, you can get rid of various problems. If there is a sleep problem, the food must be kept fish! Because a recently published study found that it does not take time to remove the problem of insomnia while playing fish just one day a week. With that the intelligence started to grow. A study done by researchers from the University of Pennsylvania, found that increasing the level of omega-3 fatty acids in the body after eating regular eating habits. As a result, naturally the power of the brain increases so that the "IQ" level starts to grow. Fish is a protein-rich food. 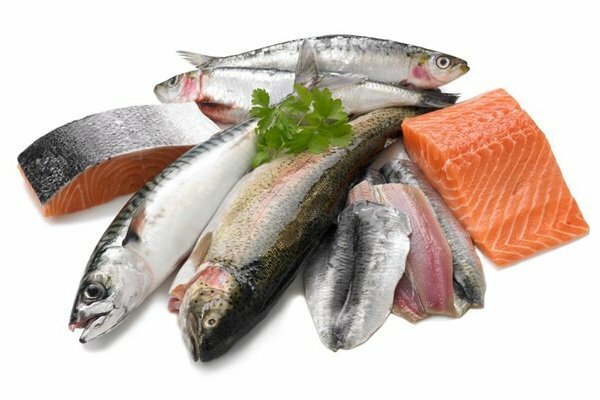 Omega three fatty acids and proteins in the body of the fish play a special role in stimulating each and every ear of the body from head to toe. In addition, multiple deaths play an important role in keeping the disease away. This vitamin plays a special role in bone formation. So there is no need to treat Vitamin D deficiency in the body in any way. And Samarik Fishermen can help you in this work. Because their body contains omega 3 fatty acids as well as plenty of vitamin D, which plays a significant role in keeping the bones strong and also keeping many bone diseases apart. Several studies have shown that only 1/2 days of the week, the activity of neurons inside our brain began to grow due to fish consumption. As a result of such intellectual development, memory improving also happens. In fact, a report related to this report was presented in the annual meeting of the Radiological Society of North America last week. It mentions that those who regularly eat fish, the power of a particular part of their brain increases so much that they leave behind a lot of intelligence and memory, leaving people not eating fish. In a report published by the American Heart Association, it has been claimed that those who eat regular fish lose their 50 percent chance of heart disease. Why is that so? Actually the omega three fatty acids that are in the fish body begin to reduce the amount of fat in the blood. As a result, the risk of losing any type of heart naturally decreases. The omega three fatty acids present in the fish body increase the nutritional supply of skin and hair at the base of the body so much that the effect of skin tone, such as its effect, increases hair growth as well. In fact, several studies have shown that omega-3 fatty acids play special role in the treatment of skin diseases such as psoriasis. So, those who are suffering from such diseases, do not think that they should exclude fish from the daily diet! Recently, a study was conducted on 188 men. It has been found that people who regularly eat fish, their sperm count is so good that there is no problem in taking the baby. In fact, due to our energetic life, many have started to lose the spark count because of which many parents have to face problems. So if you do not want to be with you, do not forget to eat regular fish! At present, the number of mental retardation due to various reasons is increasing, many of whom are very young. In such circumstances, the need to eat fish increased. Because there is no substitute for fish to reduce stress and emotional fatigue. Actually omega three fatty acids play a special role in this case. Right! Several studies have shown that only 1/2 days of the week, the activity of neurons inside our brain began to grow due to fish consumption.